Wraps On TV - Boxing talk show!! Wraps on TV is the boxing podcast brought to you by Kojo & Enam based in London. The hosts discuss all the fights ranging from national fights in the UK to the global events across the world. 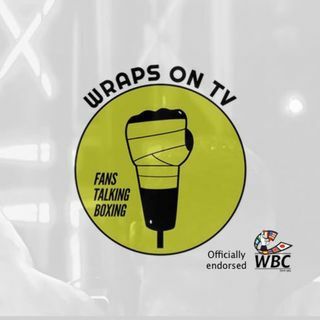 Wraps on TV can interact with the boxing public and would like to hear from the fans to discuss their opinions. Call the show on +441506243403 and follow the instructions. Crawford stops Khan in NYC & Dubois v Lartey preview!!! Eubank beats Degale!! Lee Selby Interview!! Ortiz returns to NYC agaisnt Hammer! !